It is always fun to take someone's ideas and thoughts and create something beautiful for their home for the season! 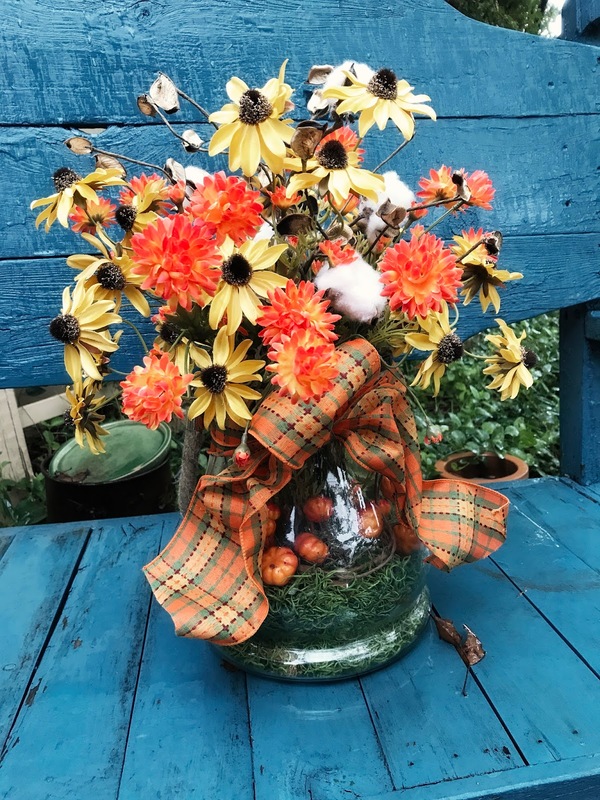 How beautiful is this glass lantern filled with tiny twisted pumpkins and filled with black eyed susans, bright orange mums, and cotton. Tied with lovely orange plaid ribbon what a sweet gift this made! 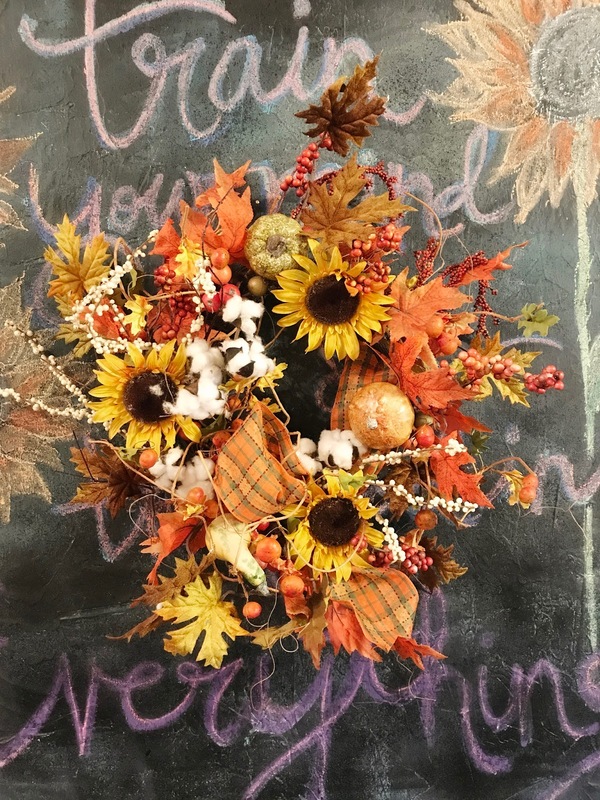 Shown here is a festive fall wreath with cheery sunflowers, velvet fall leaves, gourds and cotton. Yes we love cotton in any form or fashion it is wonderful!